The neon sign transformer will convert regular 110 volt electricity or 12 v electricity into high voltage needed by the neon sign. The voltage needed will depend on the amount of neon you want to light up ,the more neon the more voltage needed , but the transformers have a limited amount of voltage that they can output , so there is a limit to the amount of neon they can handle, that is why some neon beer signs have two transformers . 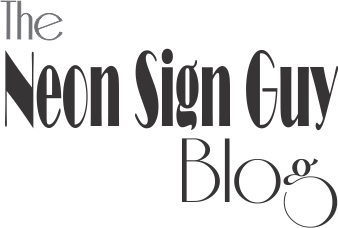 In this page i will write about the neon beer sign transformers, i will write about the transformers that are used in store signs installations in a seperate page "Neon transformers for store signs installations". The metal case type of transformers were used back some years ago and are no longer used, now all the Neon Beer Signs are made with electtronic neon transformers. The older transformers were heavy and the electronic transformers are very light . The electronic transformers have a shut off circuit that will turn off the transformer if there is something wrong with the neon, like for example in the case of a broken section, or a burned out (dead) section or if there is a short in the wiring. In the case of the old transformers they do not shut themselves off no matter what . That is why most neon signs that have an electronic transformer when you have a broken section or dead section or a short, and you turn them on the transformer will light up the neon for a second and then turn itself off , then if you reset the transformer by unpluging it and then pluging it again it will do the same thing again. Most electronic transformers are self adjusting transformers, that means that they will adjust the voltage output to the needed by the sign within a range .For example if your original transformer has an output voltage of 8500 volts or 8.5 kv you will not find a new transformer with that exact output voltage, you may find a used one taken from an exact same sign, but not a new one , so the only way to go is to install a 10,000 volt one , and it will adjust to the 8.5kv needed. The new transformer will also be a different size than the original,but not by much maybe an inch at the most. The transformers that i sell in this website or at www.theneonsignguystore.com are new transformers with a 1 year warranty, and free shipping. You can find all of my videos on this link "Youtube Videos "